In many areas of the U.S. this year, many farmers have had a hard time getting hay dry enough to bale. Many are now looking at bale wrappers, to make balage, to help with unpredictable weather. With a bale wrapper you can bale hay with moisture contents up to, and sometimes over, 50%. A lot of producers use the “hay in a day” method, where they mow, bale and wrap all in the same day, eliminating the need for long dry spells. Before buying a wrapper, make sure your baler is capable of baling green hay, many older balers will have nothing but trouble with balage. Also be sure you can lift the bales, balage bales, due to the higher moisture content, are much heavier than dry bales. If you have decided you want to purchase a wrapper there are three main types of wrappers, not including the wrappers that are built into the baler,, which are nice, but due to cost and other concerns, is not a feasible option for most. The cheapest and simplest type of wrappers is the three point hitch wrapper (sometimes mounted on the front of a loader or skid steer as well as on pull behind units.) These wrappers can be brought new from $3,000, for a simple off brand one, to $15,000 for a nicer name brand one with a remote to control it from the cab of the loader. The downfall to these wrappers is they generally take two tractors to use them, one to wrap, and one to load. They are also slower, as it takes a few minutes to wrap a bale, dump it, and load another, it takes even longer if you’re alone. But for the money, if you only plan to wrap 100 bales a year or so they are an economical choice. I have done around 300 in a year with one before, although I often didn’t get them all wrapped til the day after I baled them. Many of them are very simple machines running off of one hydraulic remote and have two chains to spin and rotate the bale at the same time. You can run one with a tractor with at least 35 hp as long as it's heavy enough in the front to lift the bales and dump them safely. Probably the most common type of wrapper in the U.S. these wrappers also wrap one at time, but only require one tractor as they have an arm to load themselves. They can be pulled in the field to wrap the bales where they were left by the baler saving time in moving them with a loader. That being said, after they are wrapped you will need a bale hugger to move them and if you wait to long, this can disturb the fermenting process. These wrappers range from $15,000 to over $30,000 for a fully automated machine with high speed wrapping. These are the most efficient wrappers, as some can wrap over 100 bales an hour. The machine contains its own small engine and only requires a loader to load the bales as the wrapper wraps them. You place the bales end to end on the machine and it wraps the outside of them, eliminating the need to wrap the ends of every bale, saving time and plastic. After wrapped the bales are all in a row end to end. The downfall to these types of wrappers is that once you start feeding the bales you need to feed the bales quick enough to avoid spoilage, usually a bale a day will keep them from going bad, although different climates may vary. They have become a staple on many dairy farms, and other livestock operations. 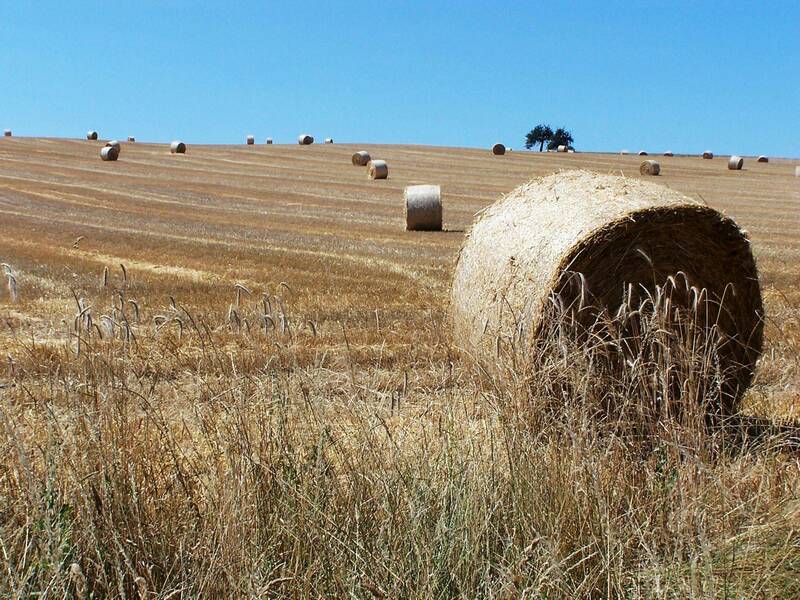 If you plan on selling the bales, inline wrappers may not be a good choice, unless the buyer is a local farm that can feed them out fairly quick. These machines start at $30,000 new, and go up with many available options. There are a lot of used and new wrappers available, all different kinds and brands. For many there may even be one available locally to rent. Balage has become increasingly popular over the past 20 years, especially in states where making dry hay is hard. Many farm suppliers couldn’t keep enough wrap in stock this year. What kind of wrapper do you have? How many bales a year do you do? Or are you looking to start making balage? Let us know in the comments below!